I hear it all the time: "But Zillow (or Trulia, etc.) says my home is worth $ (fill in the blank), but you're telling me it's worth this?" These nationwide real estate databases are a great starting point, but you need to know the facts before you put all your stock in a "zestimate." 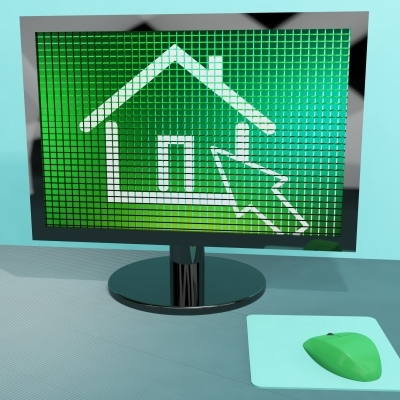 Websites like these have grown over the years to include millions of listings in thousands of towns. The value that you see listed with any given home is an estimate found from using public data that is only updated every few years. The estimate might also be based on comparing the price of a home with others in the same city, but it basically just offers an average based on those other homes and does not take into account neighborhood, schools, upgrades, lots or any other changes to the home. There is no appraised value (what the bank would actually allow financing for in the purchase of the home), and no one is held accountable for false or misleading information. According to Fortune, "Zillow has Zestimated the value of 57 percent of U.S. housing stock, but only 65 percent of that could be considered 'accurate'-by its definition, within 10 percent of the actual selling price. And even that accuracy isn't equally distributed. The best way for you to know the true value of a home is to enlist a real estate agent who is able to pull up comps from homes that are most like the one you're curious about based on size, location, and features. They can also work with other agents to find out what upgrades and other considerations have gone into the price of the home beyond square footage and location. For instance, a tax record (what Zillow/Trulia uses) might show that the house next door to you sold for $250,000, but it would not show what was included in that price such as closing costs, a washer/dryer, or anything else that the sellers covered. Your agent can ask these questions and help you find homes and prices that are more comparable to the home you're inquiring about. These sites do have many great uses, though, so I'm not saying you should completely dismiss their many other helpful features such as real esate articles, aerial views of homes and neighborhoods, and local information about schools, etc. If you are searching for the most up-to-date pricing information about homes for sale in the Middle Tennessee area, realtracs.com is very reliable and most all agents use it every day. Don't trust a website to tell you the value, trust a professional who has experience and has been inside your house...? Give me a call, and let me guide you through the entire real estate process.... "You've Got a Freind in Real Estate"